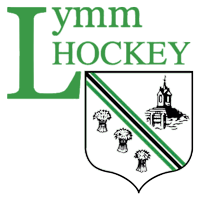 Lymm Hockey has grown over the years and has a strong junior section, ambitious mens and ladies 1st teams, and the rest is just great fun. We're extremely family friendly with members from just 6 years old up to veterans in excess of 60 years old. With a busy training schedule and match fixtures we also have an active social scene including an annual ball, quiz nights, charity events and inevitable after match drinks! Does it matter if I have not played hockey before or for a long time? That does not matter at all. We can accommodate many levels of experience and if you are a complete beginner we can adapt training to suit your needs. What if I don't want to play matches? If you just want to attend training for fitness and a bit of fun, that is fine. If you find that your circumstances change or you gain confidence such that league matches appeal then we can always start to introduce you to Saturday matches or the odd friendly game. How do I transfer from another club? There is a process that the leagues operate to help this happen. 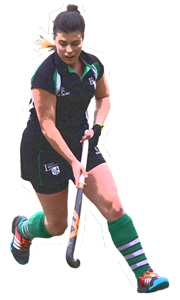 If you come along to Lymm Hockey our Club Captains would take the lead in arranging any transfer. What equipment do I need to play hockey? The absolute basics are a suitable hockey stick, shin pads and a gum shield. It helps to have some good trainers designed for artificial pitch use to make sure you do not slide around. Studded boots are not suitable. 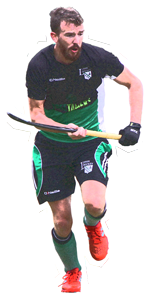 Many hockey players wear hand protection too as the ball is hard and depending on the pitch the playing surface can be very sandy. Other than that it is a pair of shorts/skort, long socks and a tee shirt. Our club shop can provide all the clothing you need for training or matches. Does it matter if I cannot attend training due to work or family commitments? Training is essential if you want to improve your skills. However, if your commitments prevent you from attending training then we understand and it is still possible to play for one of our teams. We always welcome new members and getting people on the pitch is the most important thing. If you find you can attend training at a later date then that is a bonus. When is the hockey season? The main league season runs from September to March the following year. 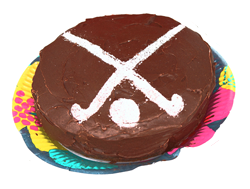 We also enter summer hockey tournaments which are usually mid week evenings and involve smaller teams. What time are senior matches and how far away can they be? Matches are usually any time between 12:00 and 17:00 on a Saturday. Sometimes rescheduled or cup games can be played on a Sunday. Our current teams play in the North West leagues. The higher the league the further the opposition may be away from Lymm. Our away games can range from Keele to Bangor to Keswick and to Macclesfield. Most games are actually within Cheshire and within an hour of Lymm. What membership fees do I pay if I join mid season? Players joining mid season would be offered a pro-rata membership rate to reflect the reduced duration.